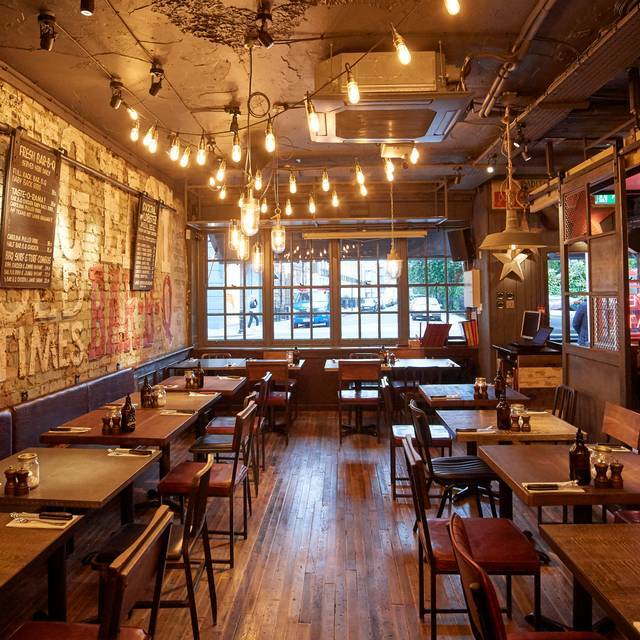 You must make bookings at least 5 minutes in advance of the time at Big Easy - Kings Road. Parking is free after 6:30PM on single yellow lines and meters. Please note that parking during Bank Holidays is not free on Kings Road. 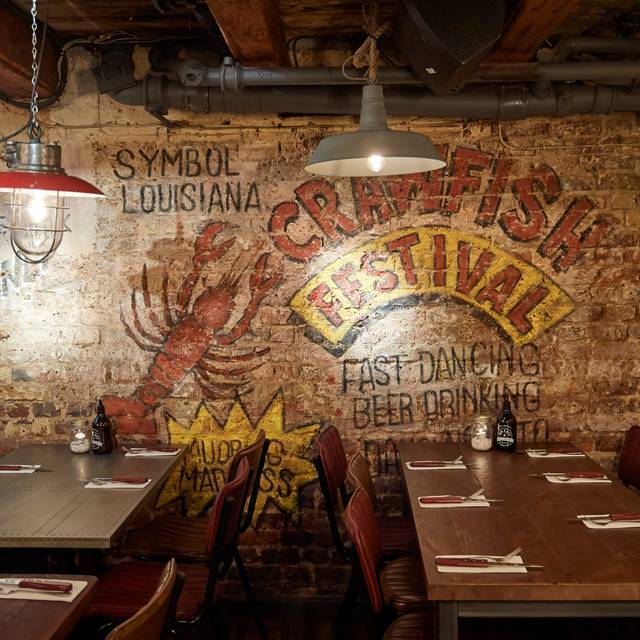 Founded over 20 years ago, the legendary Big Easy Barbecue and Lobstershack combines the finest American cuisine made using quality ingredients with an impressive wine list, frozen margaritas and toe-tapping live music every night. 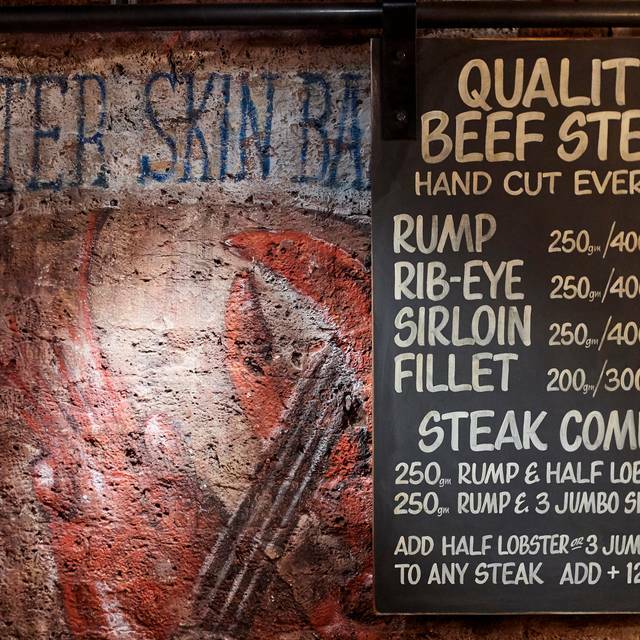 Famous for its prime Maine lobsters, Big Easy offers up to 6 pounds of the prized crustaceans alongside a lobster cocktail, roll & bake, all available at incredible prices. 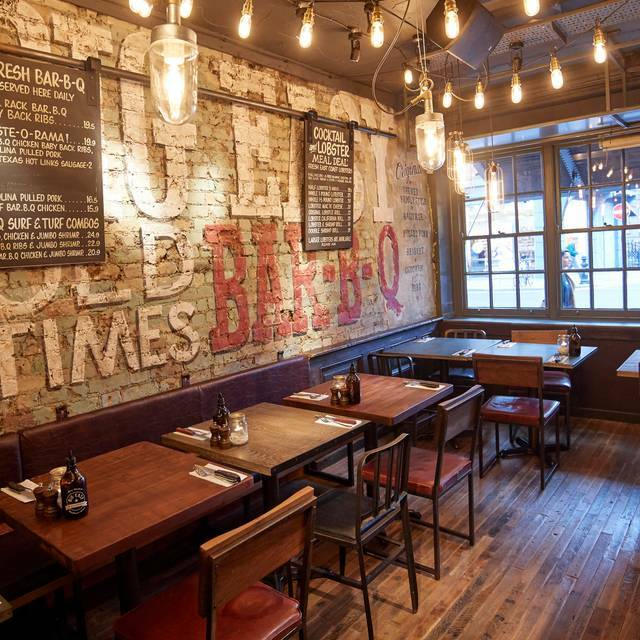 They have sent their experts to trawl the Atlantic coastline for the finest, tastiest seafood and freshly delivered them straight to the heart of Chelsea everyday, allowing guests to tuck into fire roasted jumbo shrimp, Atlantic crab & New England clam chowder. 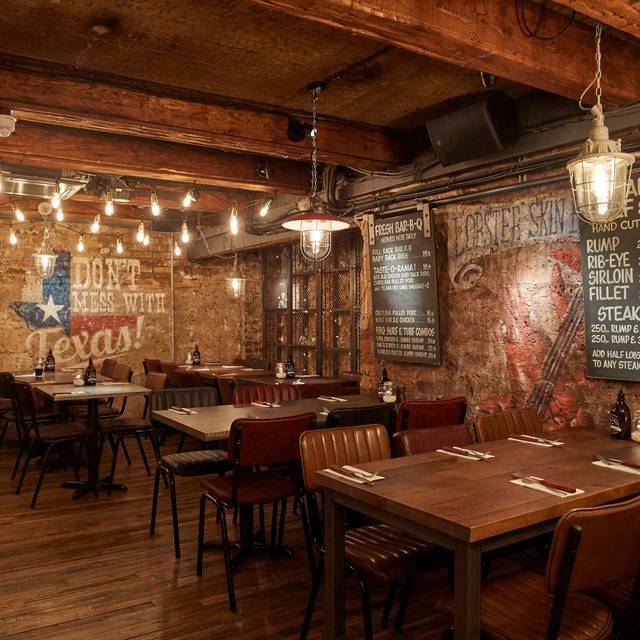 Also expect 21 day aged Longhorn steaks, known for its lean, flavoursome and well-marbled beef, alongside fajitas, voodoo chicken wings and home smoked extra meaty ribs slathered in a special barbecue sauce. 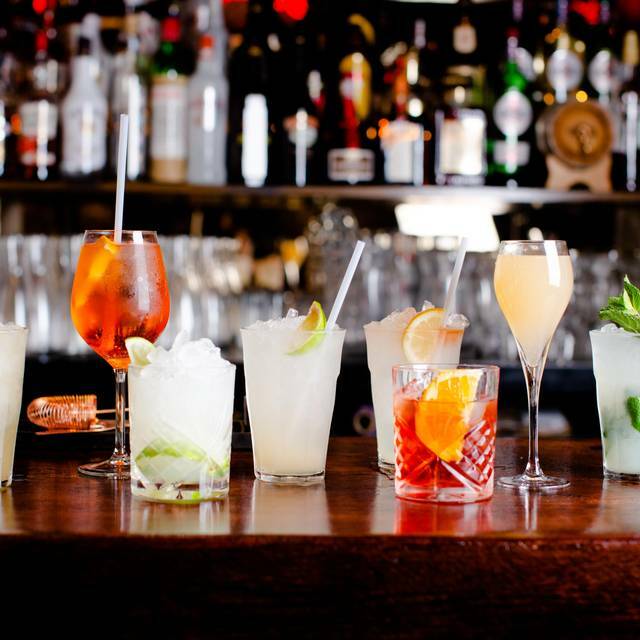 With a buzzy atmosphere, huge portions and terrific cocktails, it's impossible not to have fun. We were seared next to where all the waiters/ waitresses gathered. I ordered a meal with lobster, crab claws, mussels and potatoes and it was drenched in the sauce so almost impossible to eat without getting sauce all over yourself. Ridiculous to serve a meal like that drowning in a sauce as the crab and lobster were still in their shells. I gave up in the end. Expensive too. Cocktails are £9.50 and the wine list is expensive. The staff however are all lovely. 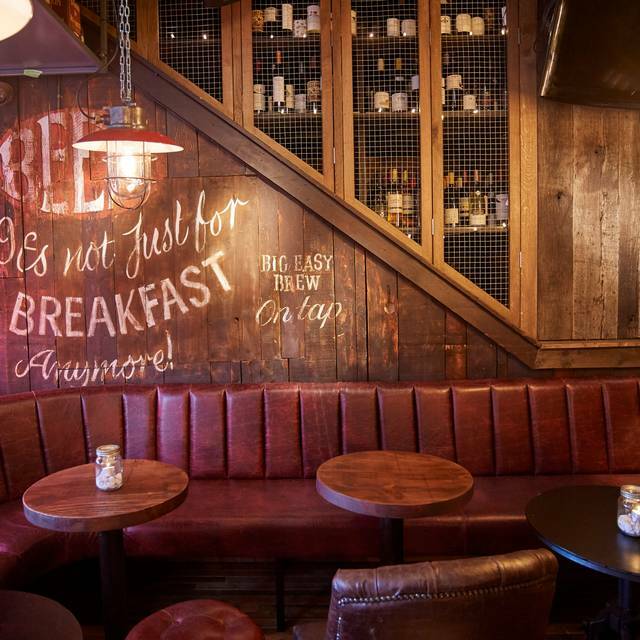 We really liked the new refurbishment. Place looked cool , but the food was terrible .... it used to be one of our favourite American / bar food but I don’t think we will go back. Booking didn't work and we had to wait half an hour drinking at the bar with 2 young kids. Music was very good, waitress very nice. Unfortunately the food wasn't. It's very expensive to eat frozen shrimps. Haven’t been here for some time so didn’t know the interior has been changed and the menu also. Despite being called the big easy crab shack there was only some crab claws as part of one dish. Very disappointing! Love love love my absolute favourite restaurant. Foods great, service great. They even accommodated me even though I was late to my table. Great place, nice food, but too much noise - even early in the evening. Great good and the waiter that served us at our table is exceptional. She's friendly and very welcoming. love her vibe! The reason I rated service a 3 was due to the ladies at the front desk as you come in. They were not very friendly and I was waiting for a friend and they left me standing there. They told me to go to the bar rather than explaining there was a seated waiting area. they made me feel uncomfortable and it was only my experience thereafter that salvaged it. Also the tables are very close together so you loose the intimacy of going out with friends as it feels like your practically sitting with strangers and sharing their convo. The atmosphere in that place is nice. We came in but by some reason the hostess was seating at the table not being at reception as she should be. We were sat at the table just behind reception and this when she decided to stay there all the time ( not even a meter distance). The lobster is disgusting there ( they are adding soo much mayo, you can swim in it). The fries is just tasteless. The prices are okay but you don’t want to pay for this disgusting food even that. Disappointed because the place looks nice, reminds me of an American pub. Great food, atmosphere and service - will definitely visit again. Does what it says on the tin but the team is always different, and the food just gets worse and worse. It can be tasty but top quality produce it is not. Great food and good service. Highly enjoyable, both husband and kids very happy and full after blow out lunch. This is usually my go to branch but I have to say that this visit was very disappointing. The BBQ ribs were too fatty and dry and the Voodoo shrimp lacked voodoo. Service - the servers were nice but I had to call them to get attention, to order, find out where our food was, for the dessert menu then for the bill. I wish I had taken photo's of the dead ribs! Poor service slow and was then told to vacate the table we refused pay the service charges. Food was very nice. Service was not great - one of the waitresses who took my payment looked like she didn't want to be there. We also had to ask for such things like sauces instead of being asked if we would like any as we were served our food. My pulled pork was slightly cold. Fun & vibrant venue with live music, good ribs and lobster / shrimp - this isn't gourmet dining but it's not meant to be. It's a good fun place to eat without worrying about which fork to use (or to use one at all) . Firstly thinking that booking on Opentable confirms my booking does not mean the restaurant will not stop calling my phone to re-confirm the booking. This instance, the person calling could reach me and insisted when I called back to book again. Another silly thing this restaurant had was live music. My evening was drowned in the poor acoustics of the live band, or possibly them not knowing how to use it themselves. The music was too loud drowning their voices. It was cacophony deafening my evening catch-up with my friends. The food was good but did not deserve the prices set, unless we were paying for the buckets of salt dumped into our food. It was not an experience I'd like to repeat. Everything is frozen then attempted to be heated. They did not achieve this simple task. Wine was off. Expensive. Poor service. Chips were good. Very overpriced for such small portions. I would have given 5 stars but it was simply too noisy, music up very loud. We waited quite a while to be served but the waiter was very friendly and helpful. Shame my choice which was the BBQ feast didn’t come with chips as it was all meat and only a small portion of coleslaw. Otherwise we had a lovely meal . Service was slow. Then when we asked to have our leftovers packed up they waiter was in such a hurry he didn’t listen and threw it away. We got an apology and given some more ribs but not with any of the sides we had asked to pack. The express lunch took 2 hrs overall. Very disappointed as I hadn’t been in a while and used to eat there all the time as I liked the place. Not sure I will go back anytime soon. Had to wait half an hour to place our order and had to flag dow three members of staff before someone finally took our order. The filipino girl who finally took our order was extremely busy but was very friendly and attentive towards us. Food took a while to arrive but well worth the wait. The live music was a bit loud for our liking and there was hardly any space for us to manouvre i had to wall all the way around the restaurant because im 8 months pregnant and there were too many people for me to squeeze into my table. But food was delicious would maybe come back on a more quiet day. Once you get your table the food and the service is great but be prepared for around 30 minutes wait before your table is ready no matter your booking. Really fun atmosphere and great food! Went for mother’s Day and everyone loved it! Very good service. Our waitress was alert and we had nothing else to wish about the food and service. Her name was a 4-letter one, starting with an O. Fun place. Love the taste-orama! Didn’t have it today, bit sad about this choice. Took my boyfriend out for a birthday dinner. He’s a massive foodie with “the more the better” mentality so this place was perfect for him! We went for B.B.Q Blow Out for 2 with starters, we both loved the amount and quality of food that arrived to our table! Everything’s at a reasonable price for the amount of food you get! Not to mention great service from our waitress and rather enjoyable time at the bar having a quick cocktail before heading down to our table. 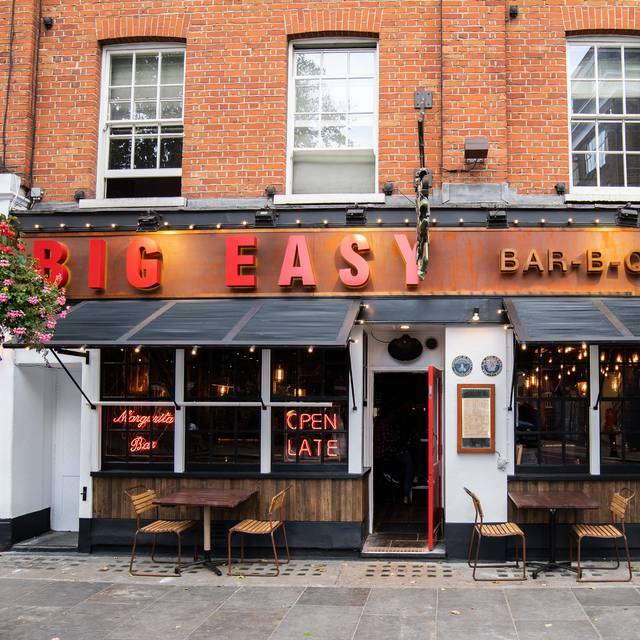 Overall, Big Easy provides a great and comfortable atmosphere throughout the visit, safe to say that we’re already planning out next visit! Poor service - food came out before the drinks. Then had to wait for plates, then had to wait for cutlery. Asked for our drinks twice before they came out. We had the brunch, the meat was luke warm - I asked if kink sausages weren’t included any more, I was told you can have some, these didn’t ever appear! When asked if we’d like more which we did, we then waited over half an hour for a top up - not great when you only have a 2 hour slot to eat! Overall, not worth the money and wouldn’t go back! Food was amazing, but the service was just very poor. Waitress was rude. She asked us if we are ready to order, just before we even answered she just walked away!! On top of that, when we ordered a whole lobster, she didn’t even tell us we get glass of prosecco with the meal, until I questioned that 15 mins later. Quite hard to get their attentions. We own the restaurant ourselves, so I think we know a bit how waitresses should be. Funny enough, I have seen this poor service at this branch for the past 2 visits. But, the Covent Garden branch the service was amazing eventhough they were a lot busier than Chelsea. Food and service great. Bit too cramped though, too many tables squeezed in a small space. Amazing food to stuff your face with. 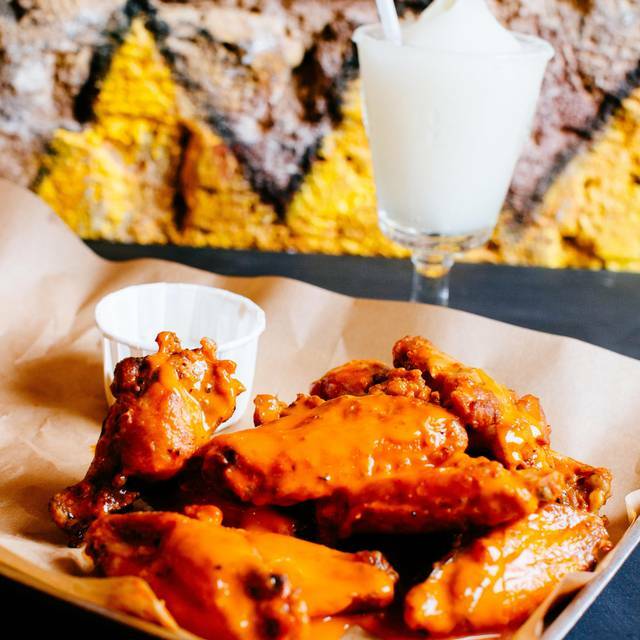 Voodoo wings are a must. We had the unlimited BBQ and it didn't disappoint. Ribs, chicken, pulled pork, bbq beans and corn bread muffins... And then another rack of ribs haha.